Random House Books for Young Readers, 9780449812952, 312pp. West Grayer is done killing. She defeated her Alternate, a twin raised by another family, and proved she's worthy of a future. She's ready to move on with her life. The Board has other plans. They want her to kill one last time, and offer her a deal worth killing for. But when West recognizes her target as a ghost from her past, she realizes she's in over her head. The Board is lying, and West will have to uncover the truth of the past to secure her future. How far will the Board go to keep their secrets safe? And how far will West go to save those she loves? 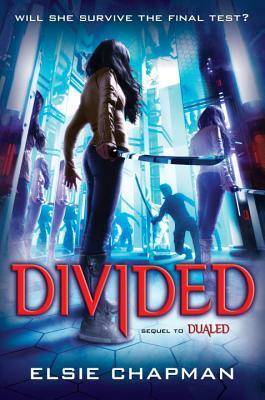 With nonstop action and surprising twists, Elsie Chapman's intoxicating sequel to "Dualed" reveals everything. Full of unexpected turns. . . . Fans of the Divergent trilogy will want to read this imaginative tale. "VOYA"
A fast ride from first to final pages, "Dualed" combines action and heart. Mindy McGinnis, author of "Not a Drop to Drink"
Stylish, frenetic, and violent . . . the textual equivalent of a Quentin Tarantino movie. "Publishers Weekly"
A double dose of intensity and danger in this riveting tale of survival, heartache, and love. Kasie West, author of "Pivot Point"
A fast-paced, wild ride of a book. This thought-provoking survival-of-the-fittest story will leave you breathless for more. Ellen Oh, author of "Prophecy"
Clever suspense here, stalking is a two-way street. "Kirkus Reviews. ELSIE CHAPMAN is a Canadian living in Tokyo with her husband and two children, where she writes to either movies on a loop or music turned up way too loud (and sometimes both at the same time). Visit Elsie at elsiechapman.com and follow her on Twitter at @elsiechapman.